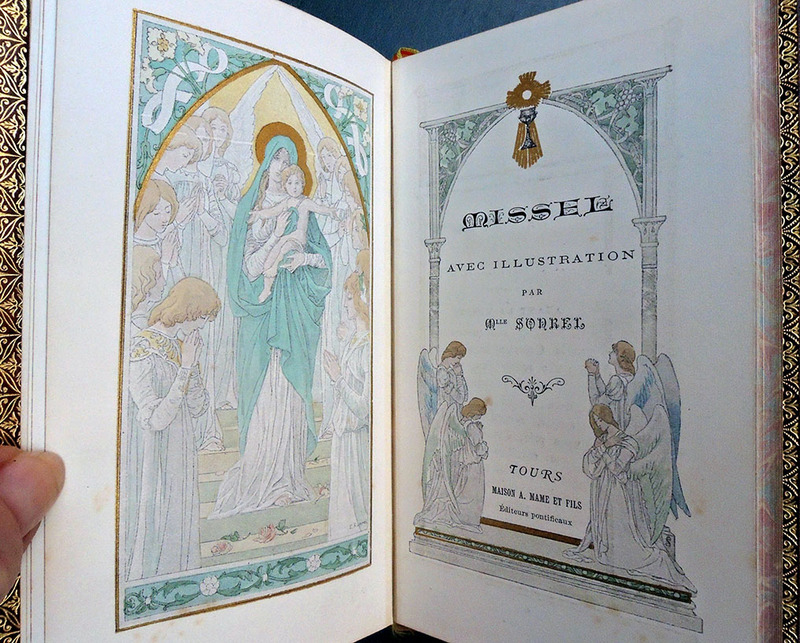 The Graphic Arts Collection recently added two small Catholic missals decorated with chromolithographs in the art nouveau style typical of Élisabeth Sonrel (1874-1951). Her portraits of pretty girls in soft pastels and floral wreaths are instantly recognizable from posters and other nouveau ephemera. 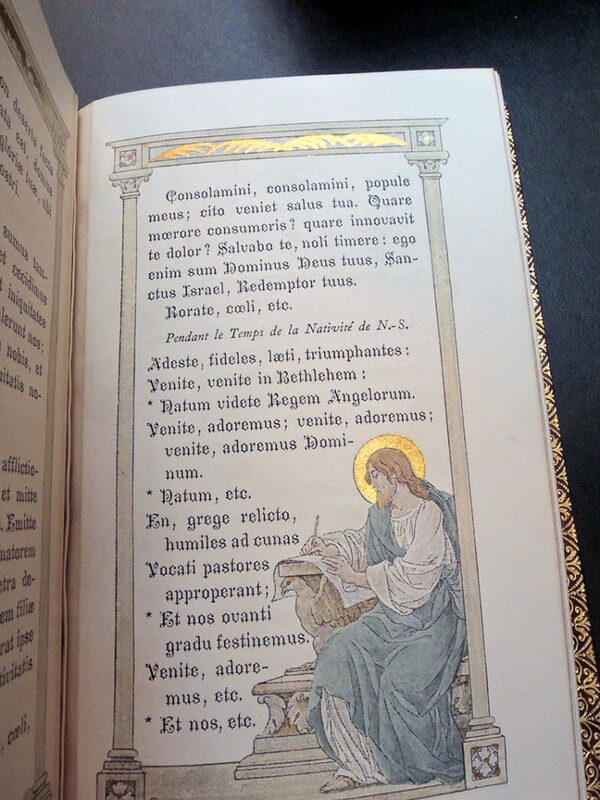 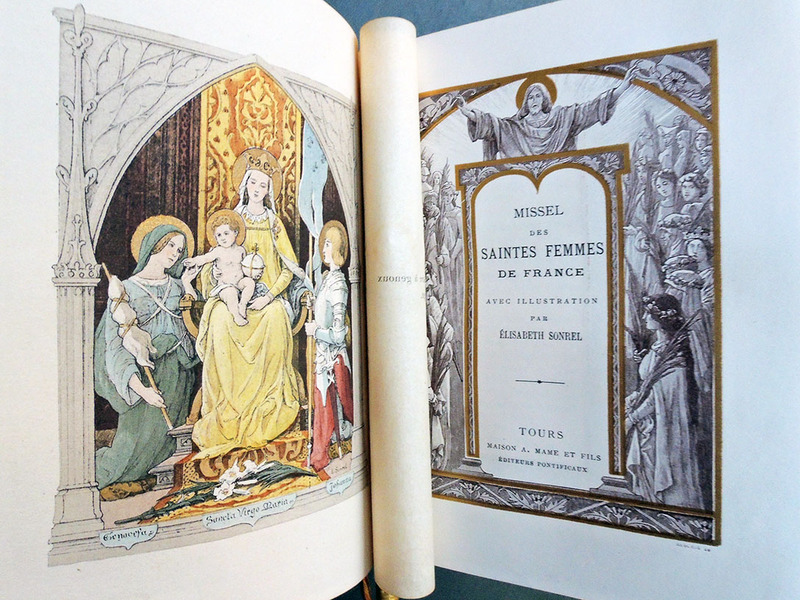 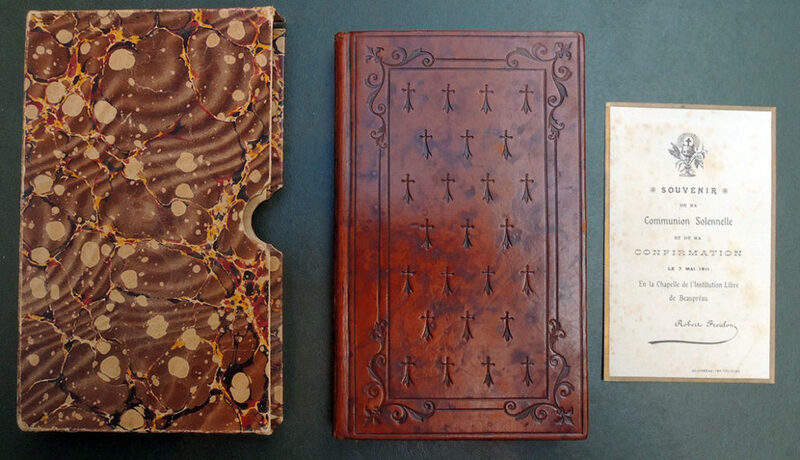 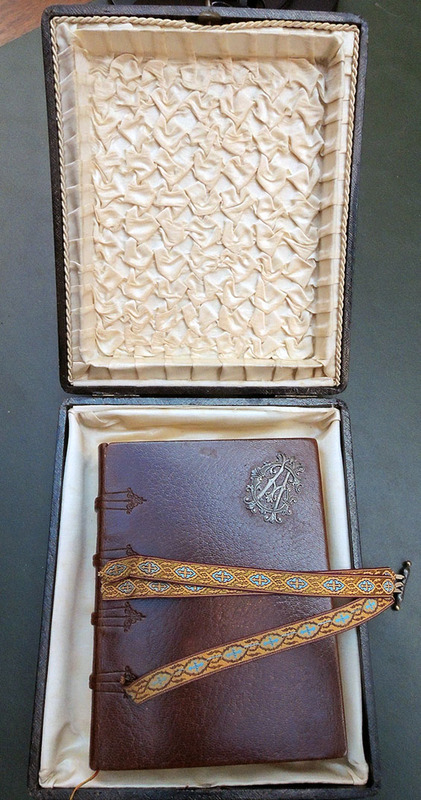 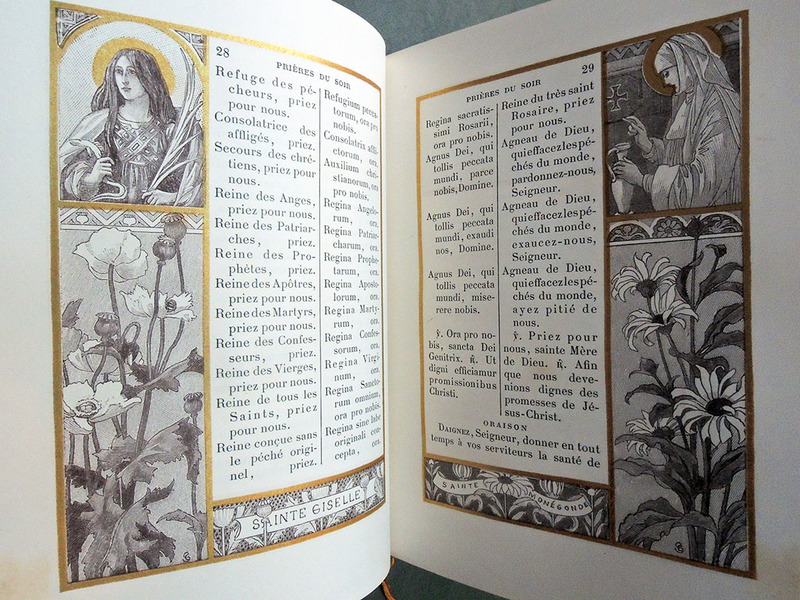 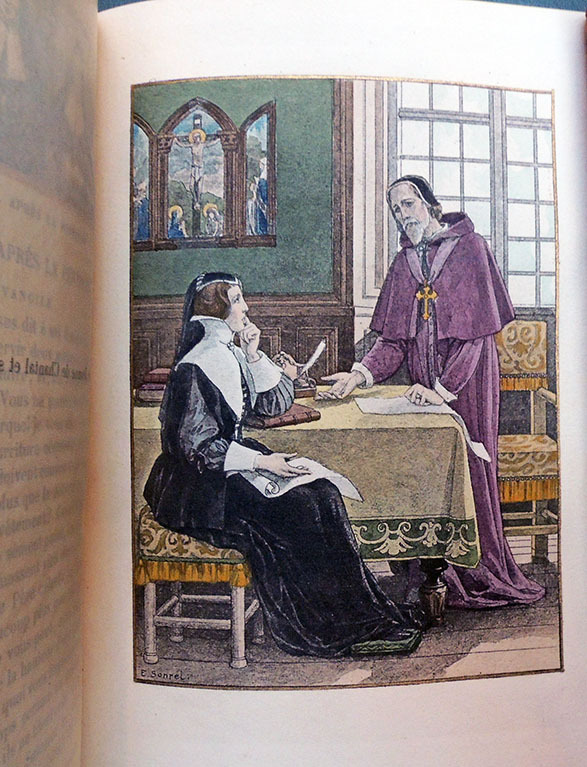 Sonrel only produced a few prayer books with the Tours publishing house known as A. Mame et Fils, under Paul Mame (1833-1903), son of Alfred Mame (1811-1893). 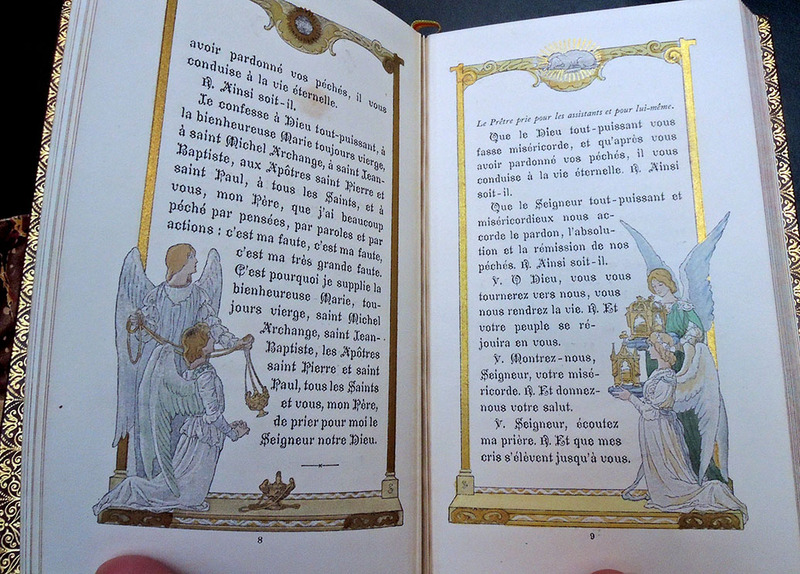 Decorated bibles and illustrated books were the shop’s specialty where, according to one source, they published six million volumes yearly. 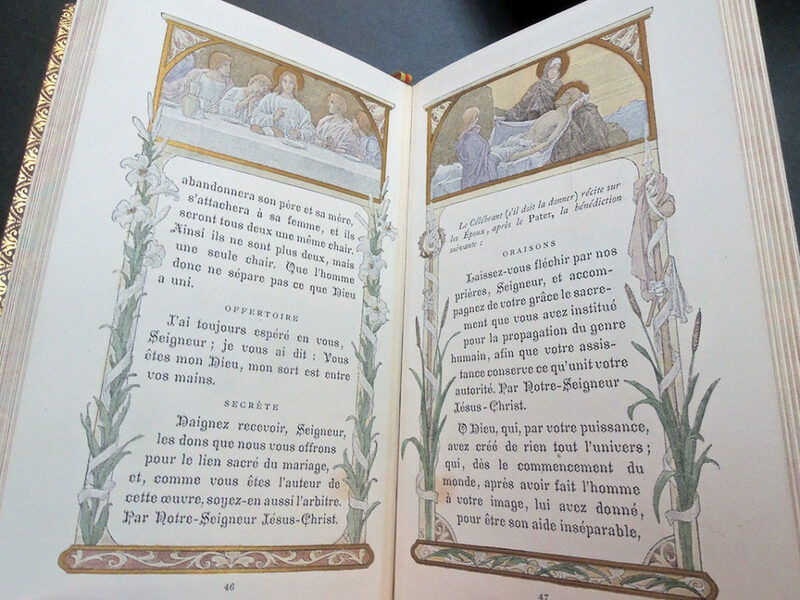 This entry was posted in Acquisitions, Illustrated books on January 28, 2019 by Julie Mellby.